In a curious coincidence, Bihar strongman Lalu Prasad got his comeuppance – jail sentence for corruption – in the very week that witnessed the triple talaq bill – a cornerstone of ‘secularism’ – making progress in parliament. The two matters would seem unrelated but are in fact deeply interconnected. Lalu represents the best and worst of Indian politics. Here is a son of soil who rose from a khatal (shed for cows and buffalos) to the pinnacle of power in Bihar. His saga has run concurrent with twists and turns of Indian democracy over the last quarter of a century or so. At one point, he emerged as a champion of “secularism” and messiah of social justice. Later, he turned out to be the prototype of the self-serving politician. Once a student leader and disciple of the inimitable Jayaprakash Narayan, his metamorphosis from a popular leader of masses to a leader immersed neck-deep in political depravity and corruption is quite instructive. His rise coincided with a virulent communal situation arising out of two watershed events – the Shah Bano case and Ram Janmabhoomi-Babri mosque episode and early 1990s. Lalu found himself on the side of a political narrative which pandered to the Muslim fundamentalism in the name of secularism. Setting aside the Supreme Court’s verdict on the Shah Bano case, prime minister Rajiv Gandhi went on to even amend the constitution to uphold the sanctity of the Muslim personal law. Rajiv, of course, ignored the advice and overturned the Shah Bano judgment. What followed was a virulent reaction from the RSS-VHP-BJP combine and the resulting Hindu mobilisation boosted the Ayodhya campaign. 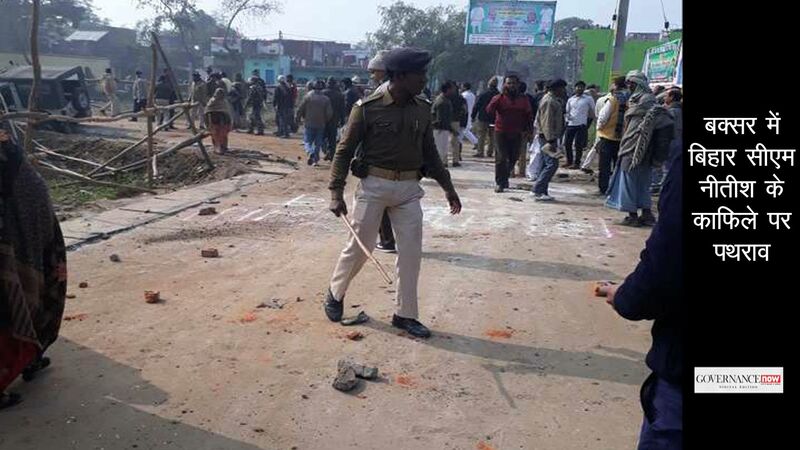 As part of this campaign, Advani was on a cross-country yatra going to Ayodhya, and it was Lalu as Bihar chief minister who stopped his journey, arresting him in Samastipur. The dramatic arrest of the Advani pitchforked Lalu from a young regional upstart to a heavyweight national leader. In the process, he became the sole saviour of ‘secularism’. Needless to say, it was evident after his first stint as CM that Lalu displayed scant commitment to any of these causes. At best he was a self-seeking leader driven by baser impulses like greed and nepotism. 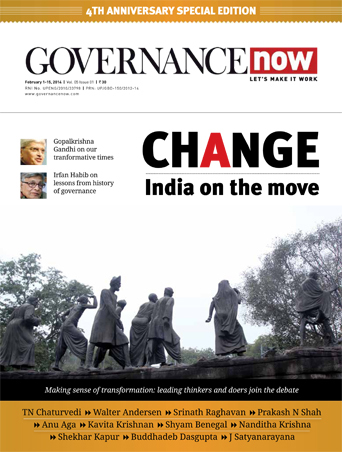 As for governance, the less said the better, as he turned Bihar into a basket case of mis-governance, wilfully denying people the basics of a civil society. Yet, what is more notable is the tenacity with which a section of “progressive intellectuals” desperately tried to camouflage his criminality in verbiage of socialism and secularism. It did not come as a surprise when he was found involved in the fodder scam. 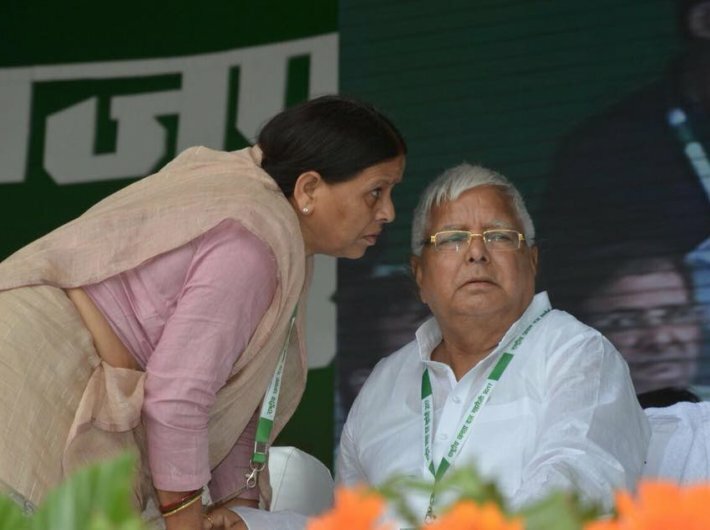 In his stint as CM and later as mentor to his CM-wife Rabri Devi, he behaved like a ‘king’ of Bihar. He acquired the skill of conducting the ‘secular and socialist’ discourses to hide his corruption and criminality. But what was more hideous than Lalu’s conduct was the eagerness of a section of supposedly progressive and secular intellectuals to eat out of his hand. Over the years, as he foulmouthed the BJP in general and its new rising leader, Narendra Modi, in particular, he remained the darling of the chatterati. He was so emboldened by his politics that he refused to mend his ways even in his role as union railway minister. And he found his strength from his intellectual apologists who preferred semantics to substance. Today the clock seems to have taken a full circle. The triple talaq, or in other words – sanctity of Muslim personal law – that triggered a series of divisive political events in the 80s-90s, is right on top of parliament’s agenda. The difference between then and now is that the political axis of the country stands radically altered. Even the Congress and diehard secularists are hesitant to be seen in the league of Muslim fundamentalists. Also, in the 1990s, Arif Mohammad Khan was a lone voice articulating a moderate and liberal position on women’s rights within Muslim personal law, and he was practically hounded out of the Congress and later marginalised within VP Singh’s Janata Dal. Today, the BJP-led NDA is quite upfront about its position against triple talaq. Instead of an undemocratic reversal of an apex court ruling, there is full-fledged legislation being enacted with due democratic process. The fact that the government has been unrelenting on criminalising the talaq is illustrative of the changing times. Given the political mood of the country, the opposition, particularly the Congress, is scared of being seen on the wrong side of the debate. Nobody wants to espouse the cause of mullah-led Muslim politics. Since old habits die hard, the Congress and certain regional groups are running with hare and hunting with hound on the issue.